HVAC Zoning allows you to provide different climate control conditions for zoned areas of your home. There should be no more arguing over what to leave the temperature set at when you can have your own personal space be the perfect temperature for you. Do you want the temperature in the bedrooms different from the living areas? HVAC Zoning allows you that luxury. EWC Ultra-Zone Homes require no special attention. You set the temperature in each zone, and the EWC system manages the details. Each zone is controlled by its own thermostat and communicates to each other to maximize energy efficiency. The Ultra-Zone system is a quality solution that integrates zoned thermostats, a zone control panel, zone dampers to control airflow, a transformer and occasionally a by-pass damper. In normal single zone HVAC systems, you set the temperature and the entire home is set to that temperature. The only way to change individual rooms is often to close vents manually. You can actually end up damaging your HVAC system by running it with too many outlets closed as it affects the airflow that the system requires to run properly. How does HVAC Zoning create different climate environments? A combination of the zoning control system and electronic zone dampers sequences the thermostats call to control airflow in the ductwork. It senses and provides the correct temperature air to each zone as specified with the thermostat for each zone. The dampers insert into existing ductwork or can be installed at the air outlet for each room or zone. Multiple dampers can be controlled together for a single zone if there are several ducts serving one zone. 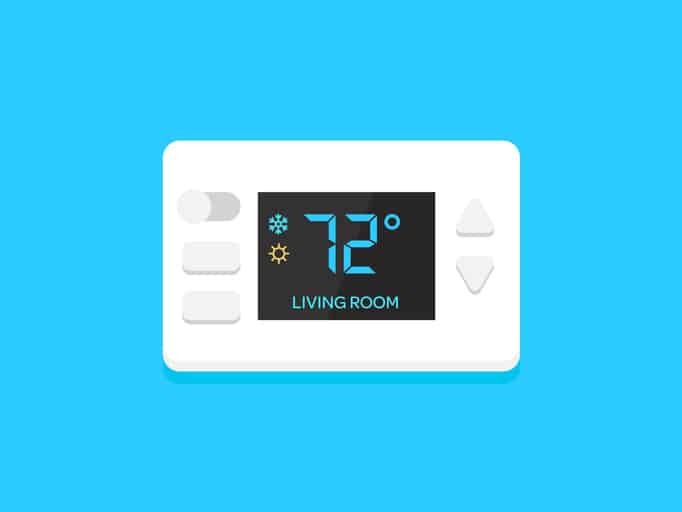 Each zone also uses its own thermostat which directs heating, cooling and fan operations for that zone. They connect into a central control panel that organizes all the parts to provide customized areas by using the existing HVAC system. If an area needs more air, the thermostat tells the dampers to open. Once the desired temperature has been reached, the control panels tells the dampers to close for that area and continue to provide air to other areas if they need it. This works for both heating and cooling through the same system. Where would I use this system? These systems are ideal for places that tend to have hot or cold spots. Most two-story or multi-level homes can benefit from the even temperature distribution provided by an HVAC zoning system. At a basic level, two zones are installed – one for the upper floor and one for the lower floor. Basements are another area that benefits from this kind of zoning solution. Bedrooms make another great zone that can be different from living areas. If someone in the home likes it much colder or warmer than the rest of the house, this is the solution that stops arguments over what temperature to set the house. Call Gentry Air Conditioning in Southlake, Texas today when you’re ready to invest in HVAC zoning! There are usually signs of failure before the system completely stops working. Noticing the signs of failure can help you get ahead of costly repairs and hopefully save you from an expensive emergency. If the system is running but the air temperature is not what you have set it to, or even warm, you should have it checked out. Common causes are clogged air filters or return ducts. Worse, it could be a symptom of a compressor failure or refrigerant leaks. Weak airflow could be a sign that your blower is malfunctioning. A tripped circuit breaker is a symptom of AC compressor failure. 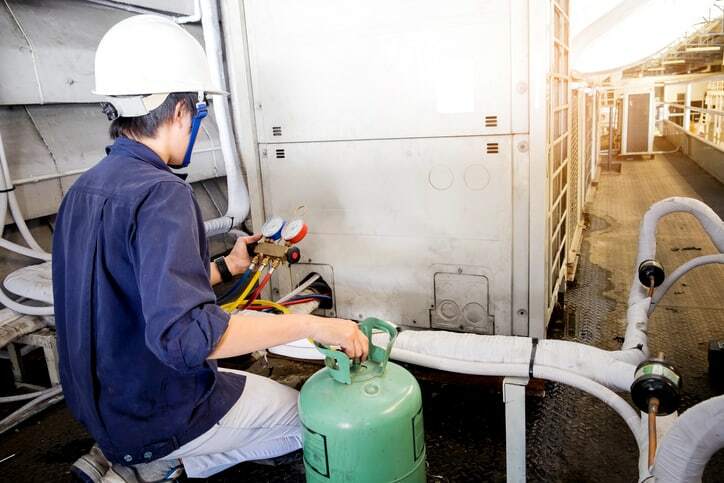 The compressor could be overheating during operation and drawing too much power, which causes the breaker to trip. One thing is certain, the “fix” is not to routinely flip the breaker back on! The circuit is tripping for a reason, and that reason needs to be discovered and corrected. It causes a potential fire hazard when a circuit breaker is popping under load during what should be normal operation. This happens when the system shuts off before a cycle is complete. A full cooling cycle will bring the temperature to the level set at the thermostat. When something in the system prevents it from reaching that temperature and prematurely shuts down, you have a problem. It could relate to compressor failures or clogged filters. It may even just require a refill on refrigerant levels. Evaporator coils can become frozen, or the air conditioner could be too large for your space. 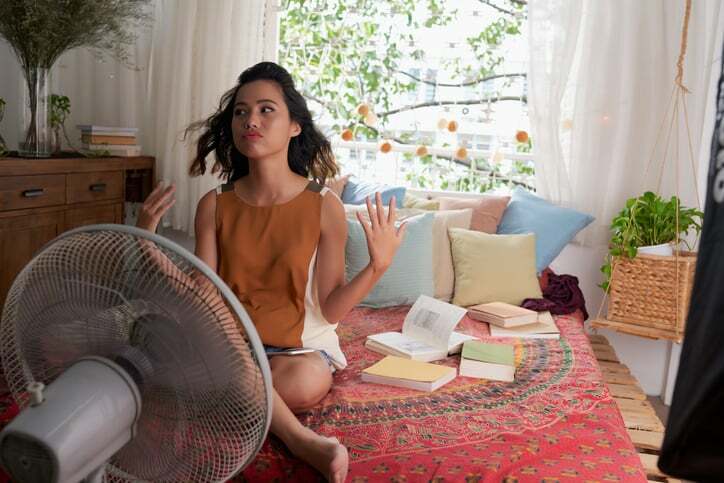 Short cycling can drive up energy bills and cause stress on the unit that will degrade its lifespan, so you should have it checked out sooner than later. The frequent on and off of the cycles as they are unable to reach the right temp are also symptoms of short cycling. Sometimes the condenser will have trouble starting and begin to shake. This is known as “hard starting” and is generally a sign that it is going to fail soon. You definitely want to catch it before it fails, so if you notice this happening then turn the system off and give us a call. It is perfectly normal for the system to make some noise when it starts up and the fans kick in, and compressors turn on. However, grinding, squealing or clanking are NOT part of those expected noises. It may be just a loose part or a broken motor bearing or something needs to be lubricated- the key is to catch it while it is still a maintenance issue and not a broken part problem. You have hot air coming out and go to check the unit. The fan is working, and there is power to the system but the compressor doesn’t seem to be running. The first thing to do is to turn down the thermostat to get the compressor to cycle on. If that fails to start it, there could be any number of problems causing it. You should give us a call to come in and diagnose the cause at this point. When it comes time to replace your air conditioning unit, give Gentry A/C in Southlake, Texas a call! Inspections and tune-ups are the best way to stay ahead of expensive repairs and ensure that you have reliable climate control before the Texas summer hits. Is your business or home on our maintenance schedule yet? We service the condenser coils, filters, do thorough inspections and give you updates on any issues as part of our tune-up servicing. We will also check coolant levels and make sure everything is in perfect working order before the peak Summer season. A thorough tune-up should includes comprehensive cleaning of the condenser coils. Buildup on condenser coils causes a drop in efficiency which directly leads to higher energy costs. It will also reduce wear on the system and this will lead to it lasting longer. We also evaluate coolant levels to maintain the systems best performance. Routine maintenance and inspections keep you ahead of any failures. Being in the middle of a Texas summer and having to deal with emergency repairs is never preferable to fixing a problem before it becomes a disaster. Our tune-ups include a complete inspection of the system to give you peace of mind that any developing problems are addressed before the Summer season. Maintenance and inspection schedules are specifically intended to get ahead of any developing problems. This allows us to address issues before they cause more significant breakdowns that you experience when an issue is left undiagnosed until failure. Airflow problems and part failures can be found earlier and this leads to direct savings for you in the long run. The problem of build-up on coils, blocked airflow and component stress is that the increased strain can cause reliability and life expectancy to drop. Routine maintenance is the best way to get the absolute best return on investment with your HVAC systems. Air conditioning is a quality of life issue. During tune-ups, we also change filters that otherwise would stop working as effectively. When filters become clogged, it reduces airflow and efficiency. All the debris and grime from the past seasons are also brought right into your office or home if not cleared out. For the best experience of clean, spring air, get on our routine maintenance schedules. Contact Gentry Air Conditioning today at 817-488-6733 to schedule your Spring tune up!